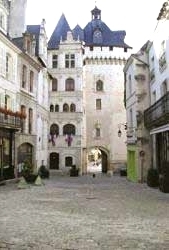 Loire Valley French Properties sell properties in the Loire Valley area of France, mainly in Departments 36 Indre, 37 Indre et Loire, 41 Loir et Cher and 86 Vienne. Just point at 'Property List' in the blue bar above. Even if you cannot find your ideal property, with our local knowledge, we can try to find it for you, just get in touch. This list is not exhaustive, even after you have bought your home we will try to help, specialising in one area means we can supply a personalised touch. We try to simplify things. eMail: Just click 'eMail' under the price of the house you are interested in.